Langston Galloway graduated this past May with a degree in SportsMarketing, capping a college career in the classroom. He may be most remembered for his basketball prowess, though. In his four years on Hawk Hill, the 6’2″ Baton Rouge, Louisiana native would rise all the way to second on SJUs all-time scoring list behind Jameer Nelson. Now, it appears the two Hawk greats may be colleagues in the NBA. It was announced today that Galloway has signed a contract with the NBA’s New York Knicks that will invite him to their training camp which begins in October. This comes on the heels of Galloway’s inclusion on the Knicks’ Summer League team, on which the sharp-shooting guard averaged 5.8 points, 1.3 rebounds, and 1.3 assists over four games. 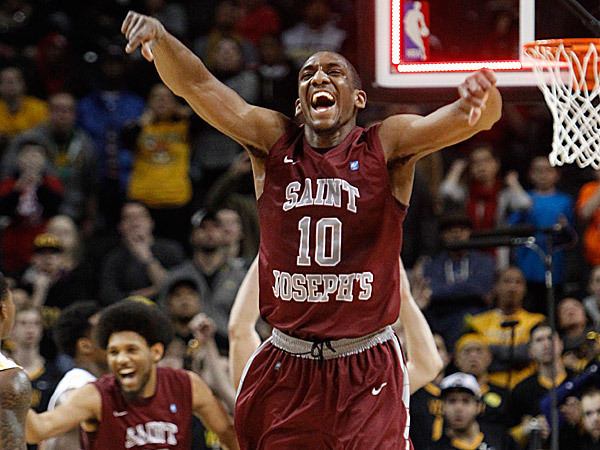 Galloway will be the second Hawks alum to play in the NBA this year, as reports have indicated that Ronald Roberts, another member of the A10 Champions SJU team from this past season, signed a three-year contract with the Philadelphia 76ers last month. Randy Cloke is a graduate from Saint Joseph's University. Occasional historian, always college hoops fan. Proud founding member of @54thAirborne, the social arm of Saint Joseph's student fans. Questions or comments? Send a tweet to @clokeandagger.